Construction site work is not only some of the most widely available job types, but construction workers are regarded as having one of the most dangerous occupations in the United States. Although there are many laws in place regulating the industry, the National Census of Fatal Occupational Injuries reports that the construction sector accounts for the most fatalities of any other sector in the nation. Heavy machinery, power tools, and heights are just a few of the hazards presented in the everyday life of a construction worker. Often, faulty safety equipment is not addressed immediately due to time or budget constraints and the hard working men and women of America pay the price in the form of serious physical injuries, brain injury or worse. If you have been injured in a construction site injury, you may be due financial compensation to help you cope with lost wages, medical expenses, and more. Contact a top Houston personal injury lawyer with Law Office of Joseph Onwuteaka, P.C. Our law firm has been protecting the rights of America’s workforce for more than 30 years. Our experienced staff understands that the laws governing construction site injuries can be difficult to navigate due to the complex nature of this area of law. An experienced personal injury attorney can provide a free case evaluation, with information on how he will help you preserve your rights, while working get you the compensation that you deserve. Workers becoming caught in or between equipment. It’s also not uncommon for construction workers to be involved in motor vehicle accidents, such as a mishap with a fork lift, excavator or truck accident. If I am involved in a construction accident, am I limited to workers’ compensation benefits? Not necessarily. Whether or not you are limited to collecting workers’ compensation benefits depends upon the circumstances surrounding your case. There are usually any number of subcontractors and companies working on a construction site. Architects, engineers, and even equipment manufacturers may be partially or completely responsible for your accidents. Under those circumstances, you may have a valid claim against a third party company, even if you are receiving workers’ compensation benefits from your employer. A thorough investigation will help to determine liability. In cases where a pedestrian is injured while walking in or near a construction site, workers’ compensation would not apply. Cases involving contractors may also be rather complex, as workers’ compensation generally does not apply to independent contractors who suffer injuries. 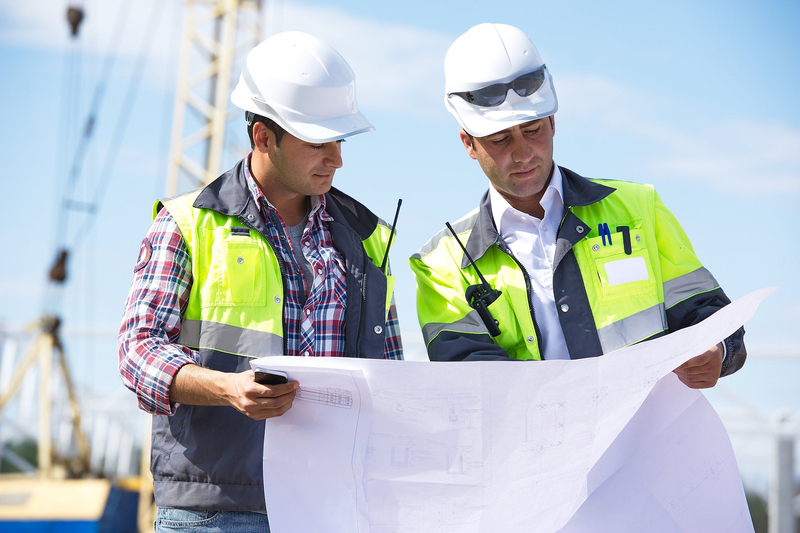 Construction accidents can be quite complex, so it’s important to consult with an experienced attorney to discuss your case. If I’m involved in a construction accident, can I file a suit against my employer? Whether or not you can file a claim against your employer depends on the circumstances of your accident and whether they carry workers’ compensation insurance. Workers compensation is based on a no-fault system. If the liability for your injuries falls only on your employer, and he carries workers’ compensation, then you may be limited to only those benefits. If your employer does not carry workers’ compensation insurance, and is liable for your injuries, you may be able to file suit against them. Does my employer have to carry workers’ compensation insurance? No, the state of Texas does not require private companies to carry workers’ compensation insurance unless they are engaged in a state building and construction project. If an employer chooses not to carry workers’ compensation insurance, then they are considered a non-subscriber. What if my construction accident was caused by dangerous or faulty equipment on the jobsite? Many construction site accidents involve faulty or defective equipment, such as electric saws or heavy machinery. In these case you may be able to suit against the equipment or machinery manufacturer. An experienced personal injury attorney can advise you of all of your options. If I get in a construction accident, how long do I have to file a lawsuit? The state of Texas imposes a two-year statute of limitations on these types of cases. While this is plenty of time for you to decide whether or not to pursue a claim, it is best to seek legal counsel immediately. Any lawsuit will require a thorough and diligent investigation and it is best for your attorney to get started while details are fresh and evidence is available. How much compensation can I receive for my construction site accident? Each case is different and handled on an individual basis. The amount of compensation you can be awarded will be determined by several factors in your case such as the nature and severity of your injuries, as well as other details specific to your injury. Special laws that are specific to Texas accidents, like contributory negligence, can also affect the amount of compensation you are able to receive for your injuries. Can I get compensation for my pain and suffering? The answer to that question will depend on the circumstances surrounding your case. Workers’ compensation benefits do not cover pain and suffering; they typically cover medical expenses and a portion of your lost wages. If you have a personal injury claim against a third party, or if your employer did not carry workers’ compensation insurance, then you may be awarded damages for pain and suffering. What if I am partially responsible for my accident? Again, this will depend on the circumstances surrounding your particular case. If you are covered under workers’ compensation, then it does not matter who was negligent in the accident, even if it was you. If you are suing in a personal injury claim, then your financial compensation may be reduced by your percentage of liability in the accident. For instance, if your suit is worth $100,000, and you are found to be 30% responsible for the accident that caused your injuries, then you are likely to receive $70,000 in financial compensation. If you have been injured in an accident on the construction site, caused by the negligence of another party, contact the Law Office of Joseph Onwuteaka, P.C. today. We have more than three decades of experience with the unique laws surrounding construction site injury cases. Our staff will investigate your case thoroughly and fight for justice, while we work to protect your rights as an injured worker. Our law firm also handles other types of accidents, including industrial and other workplace accidents, car accidents, truck accidents, motorcycle accidents, slip and falls, burn injuries, brain injuries, birth injuries and beyond. Call (713) 271-5760 or contact us online to schedule an initial consultation with an experienced, aggressive construction accident attorney who will get you the financial compensation that you deserve. 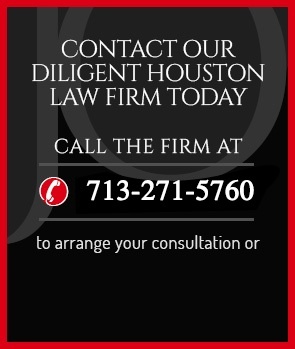 We represent clients in Houston, Texas, and the surrounding areas.